This CD includes 22 kid-friendly songs for use with Play (included in the Resource Kit) and God Loves Me. Order extras for each classroom if needed. Also available as a digital download. Click here to purchase from iTunes or click here to purchase from Amazon. 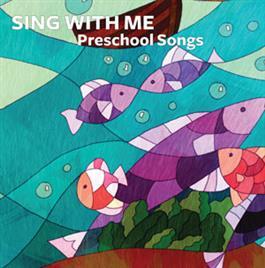 This CD includes 22 kid-friendly songs for use with Play (included in the Resource Kit) and God Loves Me. Order extras if you need additional or replacement copies. Blue and Green and Purple Too! Take Good Care of My World! One, Two, Three, Four, Five, Six, Seven!